By entering this Promotion, entrants agree to be bound by these terms & conditions and any specific terms and conditions explaining how to enter, what the opening/closing dates are, what the competition winner’s prize will be etc which will be broadcast on air. The promoter is Manchester Communications Academy, 2 Silchester Drive, M40 8NT (the “Promoter”). The Promotion will commence on 6 June 2017. The closing date for receipt of Entries (as defined below) is 10:00(am) (London, UK time) on 10 June 2017 (“Closing Date”). The Promotion is open to residents of the United Kingdom excluding Northern Ireland who are aged 18 or over (the “Eligible Participant”). Employees of the Promoter and their immediate family members, or any person professionally associated with this activity may not participate in this Promotion. The prize shall be a breakfast kit, comprising of a toaster, toast tongs, toast rack, butter knife, Hovis® bread tin and two Hovis® Wholemeal loaves (together the “Prize”). There will be one (1) prize winner (the “Prize Winner”). There will be one (1) Prize awarded to the Prize Winner. How many years of baking expertise does Hovis® have? (each an “Entry” and together the “Entries”). An Entry must be made by the Eligible Participant and must be in legible English. Any Entry that does not contain the information required above and does not answer the Question correctly will be an invalid entry and will not be entered into this Promotion. Only one Entry per person. The Promoter will not accept any claims by any other method, including but not limited to fax, text, email, or any social networking site. Entrants may not change any information in their Entry after submission of their Entry. It is the Entrant’s responsibility to ensure that they can be contacted through the information included in their Entry throughout the Promotion. The Promoters are unable to accept any information concerning changes of contact information. The Promoter cannot accept responsibility for lost, delayed, damaged or illegible Entries. Within 2 days of the Closing Date all valid Entries that have answered the Question correctly will be entered into a prize draw and the Prize Winner will be selected at random. The Prize Winner will be notified within 2 days of their selection by a telephone call to the contact number provided within their Entry (the “Notifcation”). The Prize Winner may be required to confirm their answer live on air. Due to time constraints with on-air promotions, we will proceed to the next caller if any caller does not answer our call promptly or if the telephone line drops out or breaks up during our call. We will have no liability to any caller who does not answer our call promptly for whatever reason, or for the awarding of any prize to a caller whose line dropped out or broke up for whatever reason. In addition, if a contestant or winner cannot be contacted by us to participate or enter any on-air promotion (including where a third party answers the telephone on the contestant or winner’s behalf) we reserve the right to disqualify that person and to select a replacement contestant or winner (whichever is applicable). 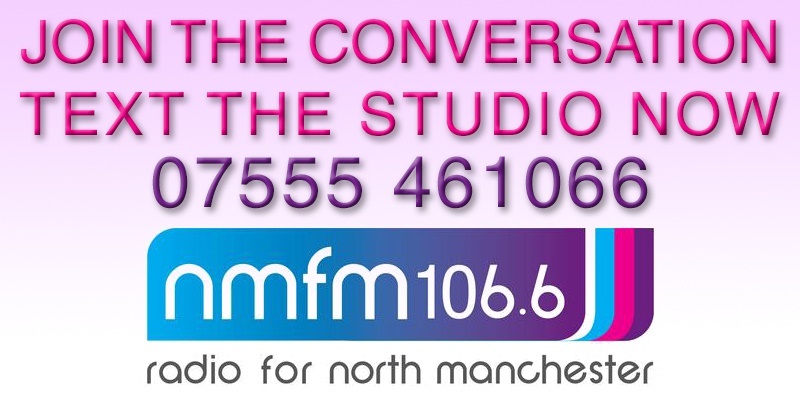 The Prize Winner must collect the Prize from North Manchester FM, Manchester Communication Academy, Silchester Drive, Harpurhey, Manchester, M40 8NT within 30 days of the Notification failing which the Promoter reserve the right to forfeit the prize and award it to a reserve winner selected in the same way as the original winner. All Prizes are non–transferable and there is no cash alternative. The Promoter reserves the right to substitute any Prize of equal or greater value at any time. Prizes or promotional products must not be auctioned or resold. In all matters relating to the Promotion, the decision of the Promoters shall be final and no correspondence or discussion shall be entered into. At all times throughout this Promotion, the participant must deal with the Promoters in the utmost good faith in every respect. The Promoters reserve the right to verify the eligibility of all participants and disqualify any participant that it has reasonable grounds to believe has breached any of the rules, including, but not limited to, falsifying any information submitted to or requested by the Promoter. The Promoters reserve the right to amend or terminate this Promotion at any time without notice. Any termination or amendments to this Promotion will be notified to you at https://northmanchester.fm/competitions/. 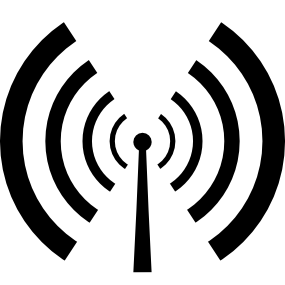 By taking part in the Promotion, the Prize Winners agree that the Promoters (or any third party nominated by the Promoter) may in its sole discretion use the Prize Winner’s names, locations and comments relating to the Prize for future promotional, marketing and publicity purposes in any media worldwide without notice and without any fee being paid. The name and county of the Prize Winner is available by sending a letter including a self addressed, stamped envelope to Hovis Marketing Team, Wholemeal NorthManchester FM Promotion, The Lord Rank Centre, Lincoln Road, High Wycombe, Buckinghamshire, HP12 3QS, to arrive after 30 June 2017 and before 31 July 2017. The Promotion and any issues, disputes or claims arising out of or in connection with it (whether contractual or non-contractual) shall be governed by, and construed in accordance with, the laws of England and Wales. Entrants agree that the Courts of England and Wales shall have non-exclusive jurisdiction to settle any disputes or claims arising out of or in connection with it (whether contractual or non-contractual). Scottish consumers may also bring an action in their home courts.